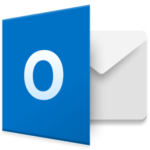 Microsoft Outlook has gained the option to block external images in emails. While this might seem like a minor tweak, it can be helpful for privacy-minded users, as images can be used to track whether emails have been read — valuable information for spammers. You can choose to block external images in emails. Turn this on by going to Settings and tapping on the account where you'd like it enabled. Incidentally, Gmail started showing images by default years ago, but circumvents potential privacy concerns by using proxy servers.